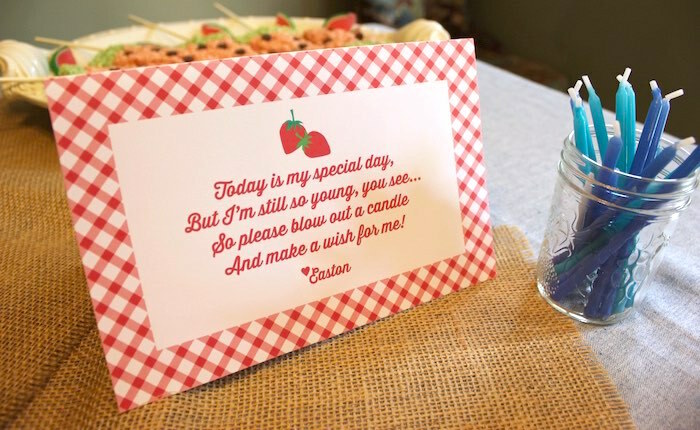 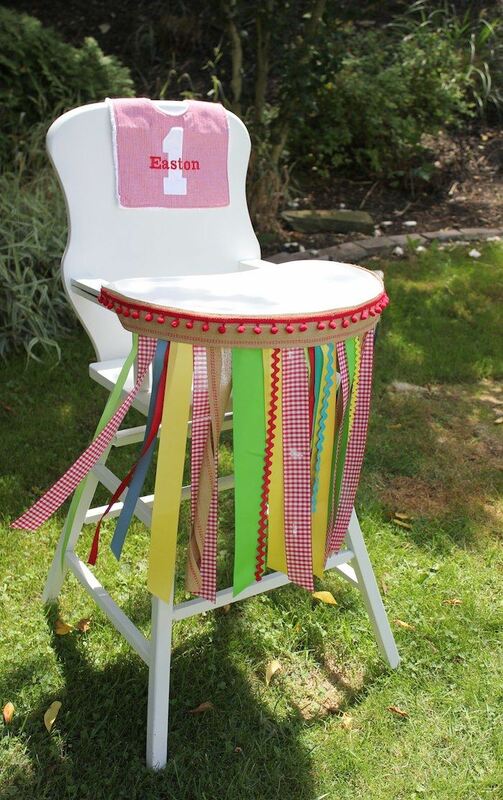 Searching for party ideas that are perfect for an end of summer birthday party? 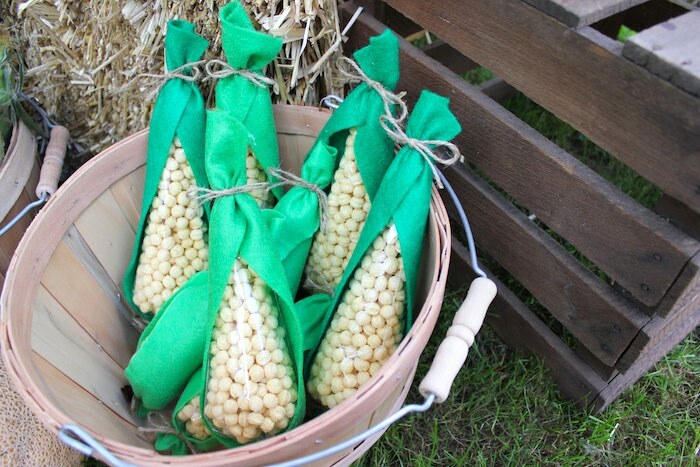 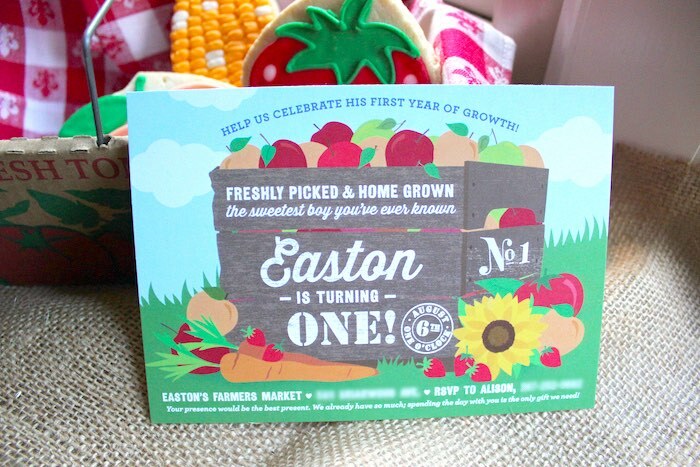 You will gush over all of the sweet details featured in this Farmer’s Market 1st Birthday Party submitted by Alison McKown of Just Add Confetti out of Pittsburgh, PA! 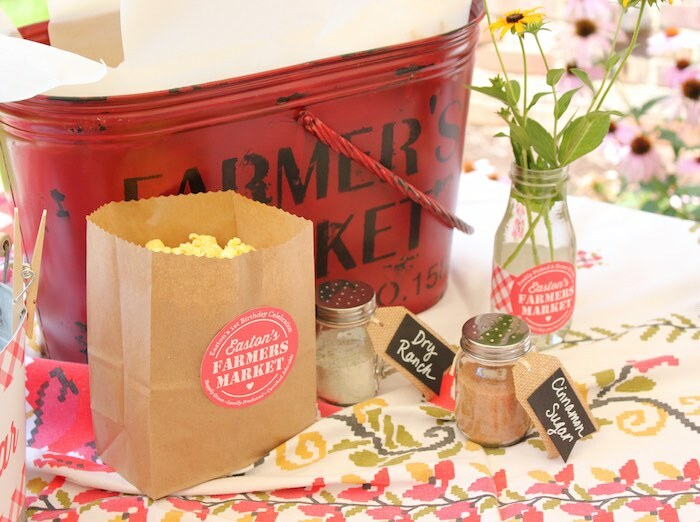 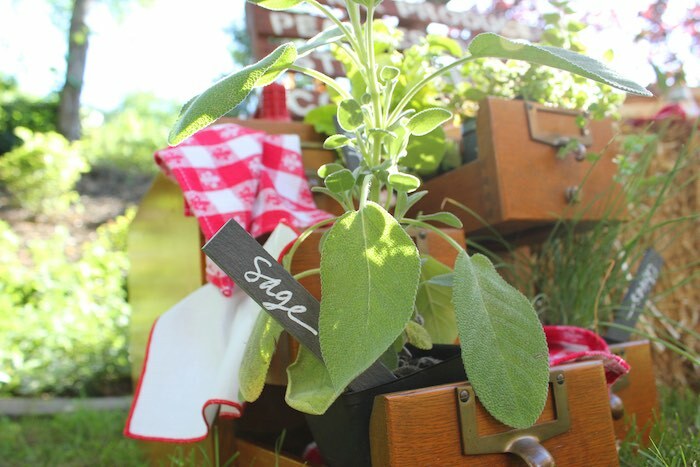 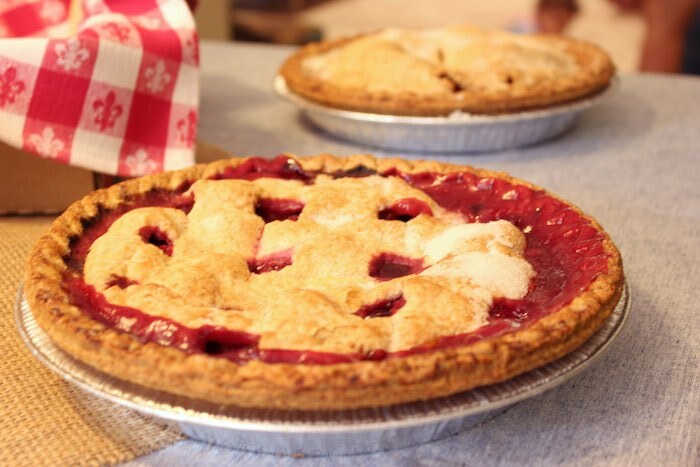 With elements such as a “U-PICK” produce stand (where guests literally shopped for fresh fruits and veggies), a cute market stand, and adorable cakes and sweets- this event is truly a farmer’s delight! 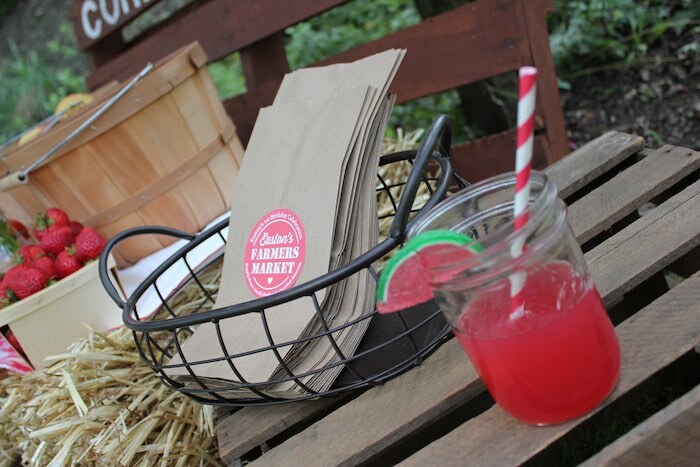 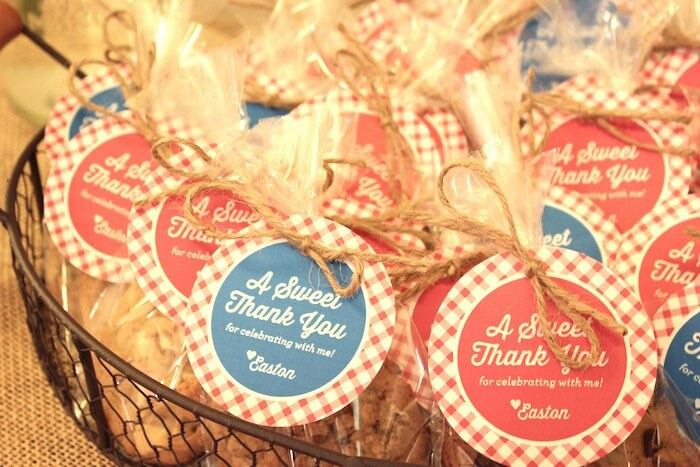 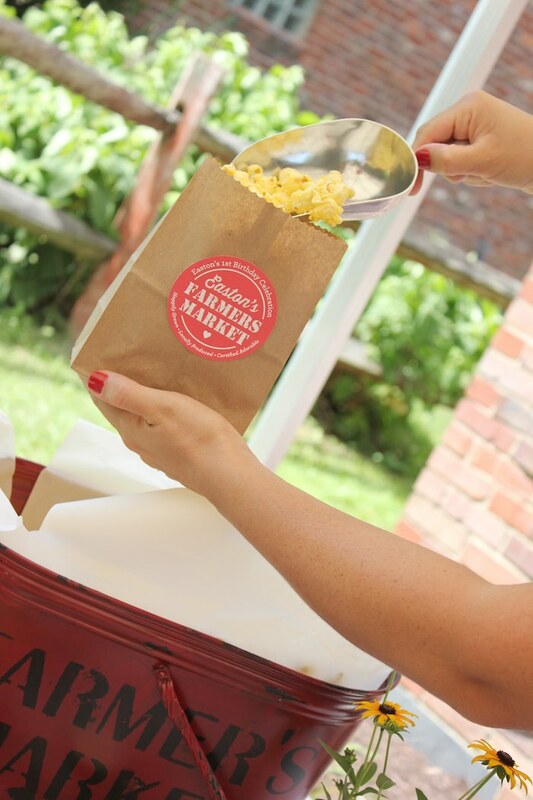 And brown paper favor bags adorned with custom labels! 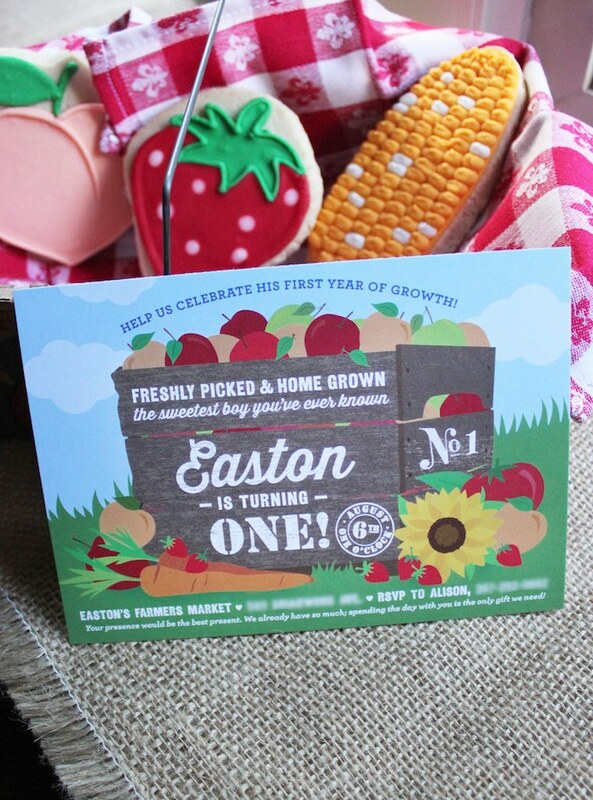 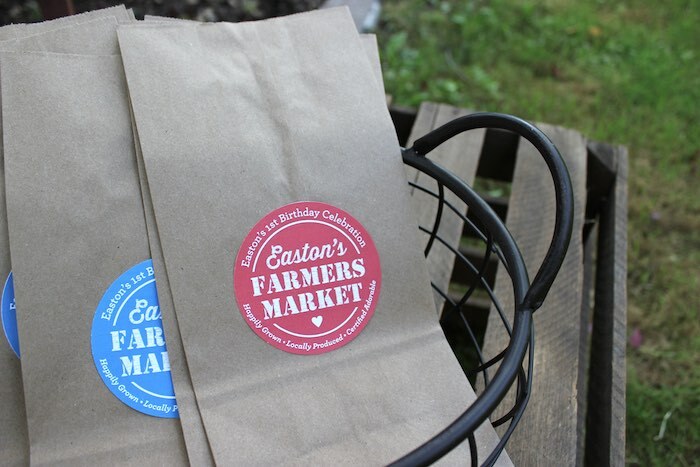 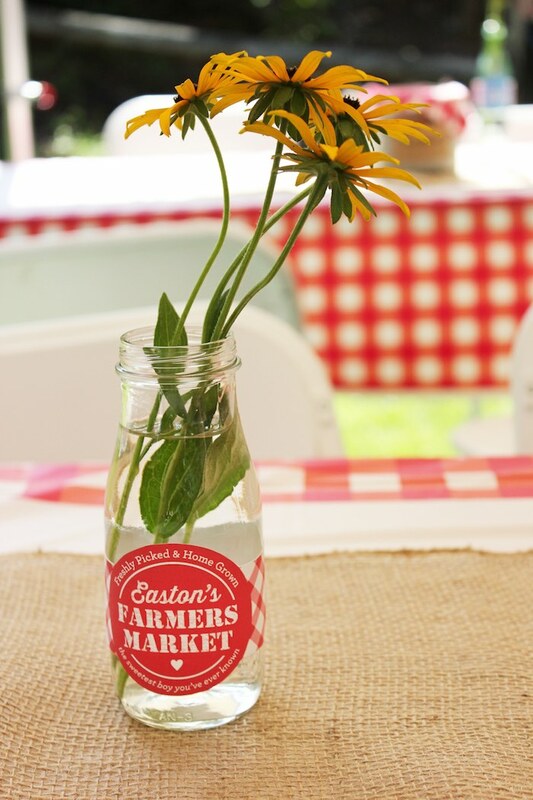 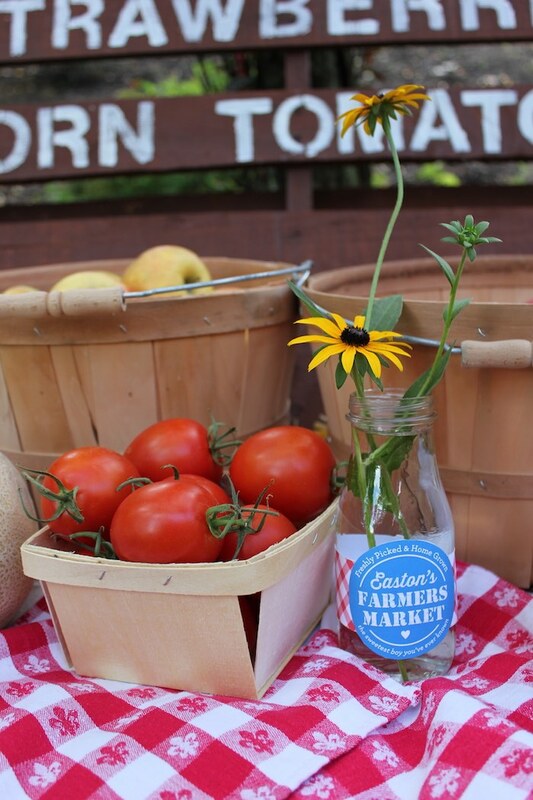 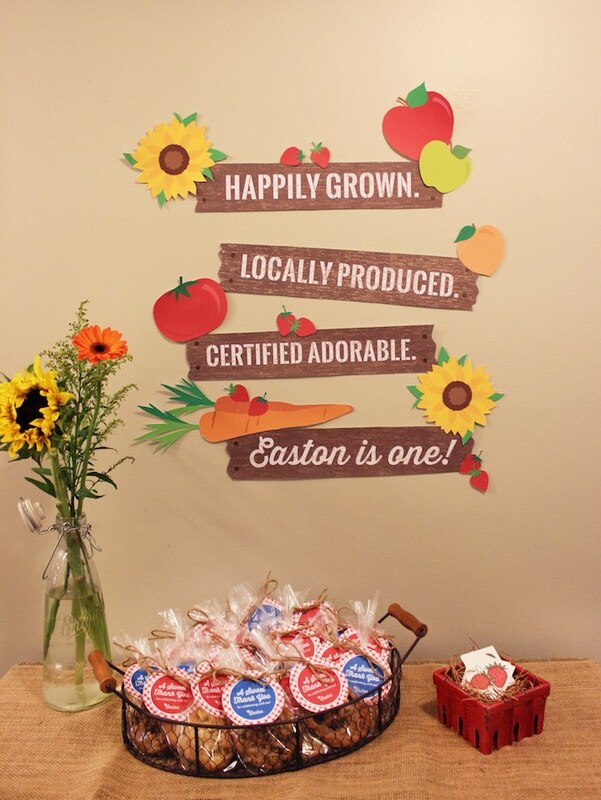 This is what Alison shared about the party- “This past Saturday we celebrated my son, Easton’s first birthday with a Farmers Market birthday bash! 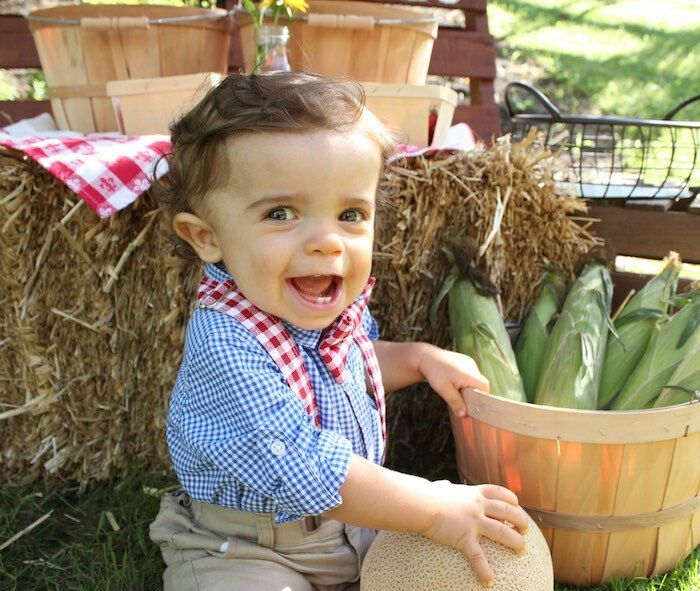 The theme was so fun and fitting for my little guy. 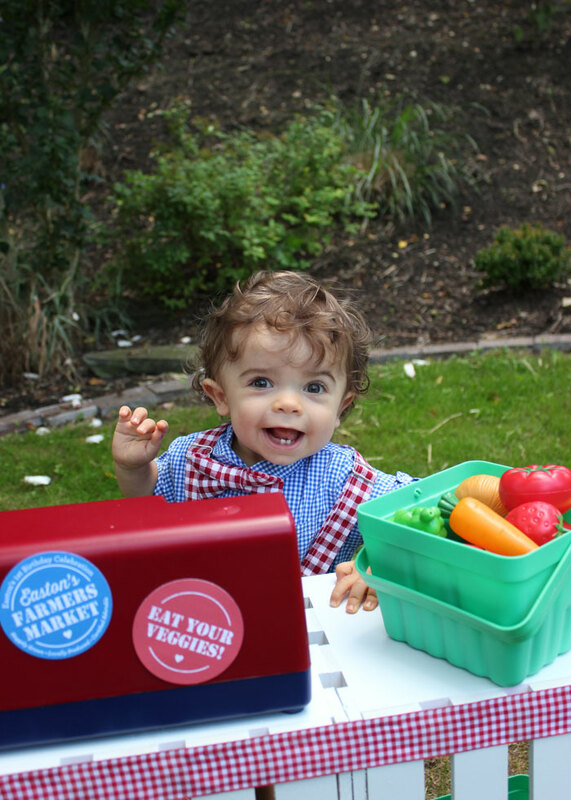 He truly is the sweetest and he sure does love his veggies, especially carrots! 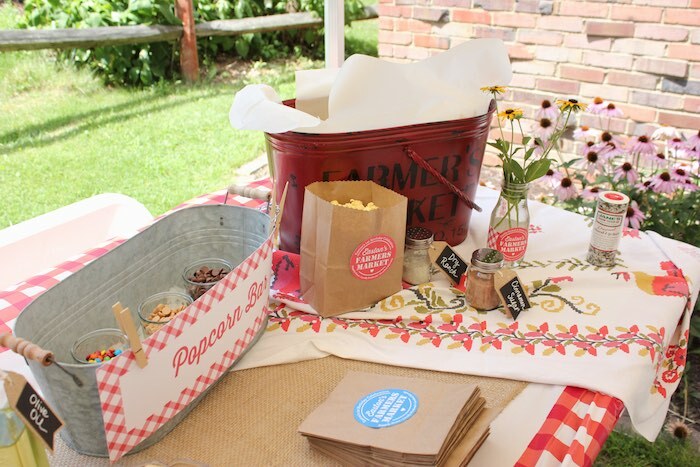 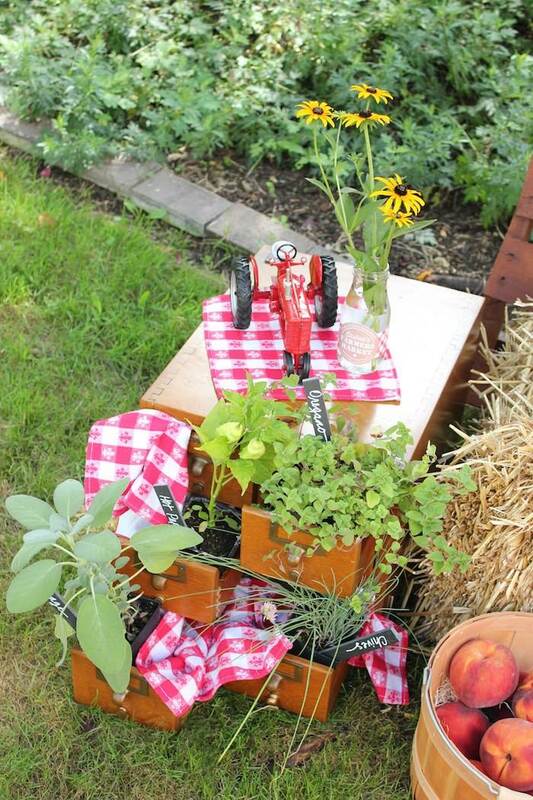 lots of red gingham, woodgrain, burlap, and of course, fruits, veggies and sunflowers! 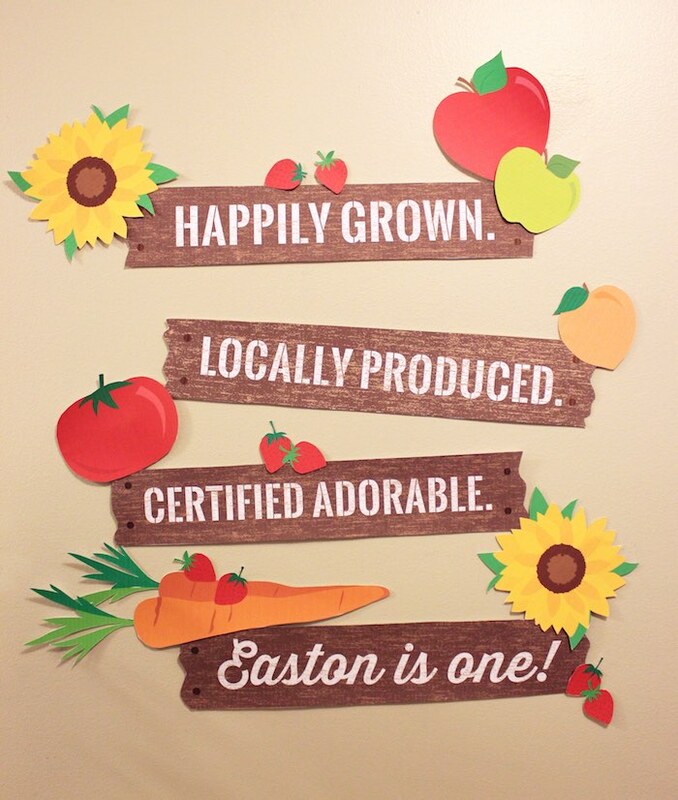 Eastons Market was designed so all of the kids at the party could play and have fun. 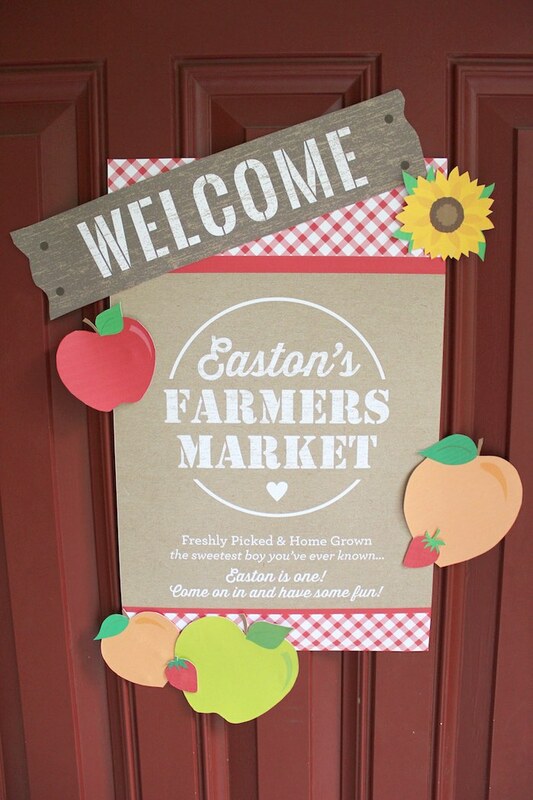 To make the market, we used two apple crates nailed together for the base, and then just added two pieces of wood on the sides and the sign on the top. 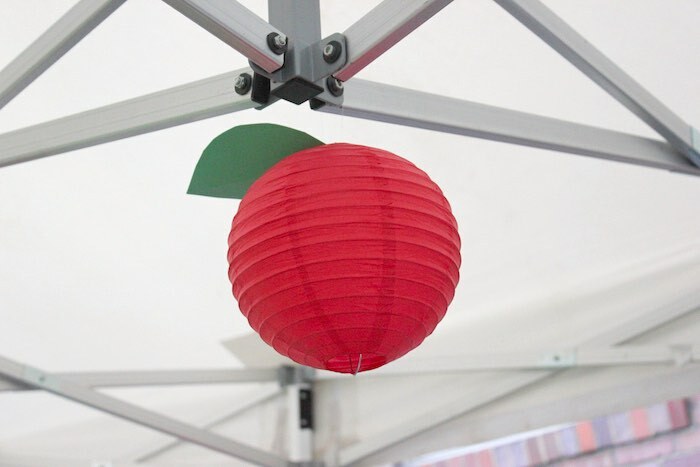 We spray painted it white and added the red stencils. 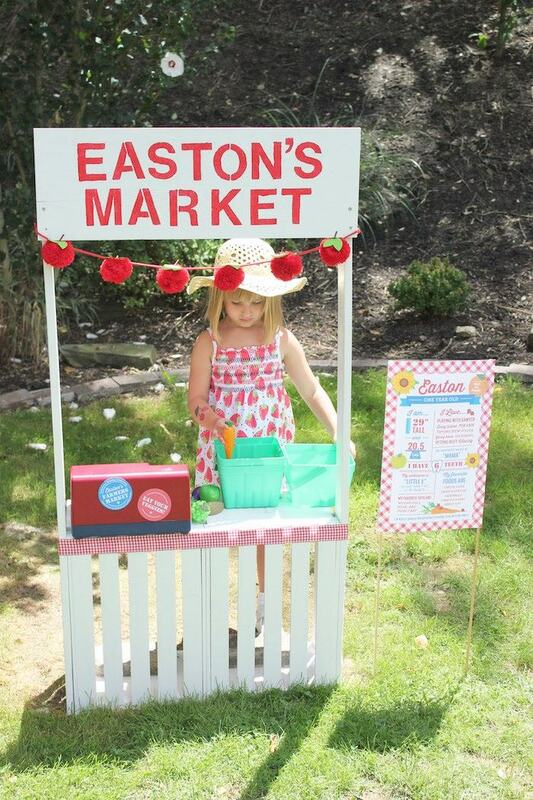 It was pretty easy to make and all of the little ones seemed to love it! 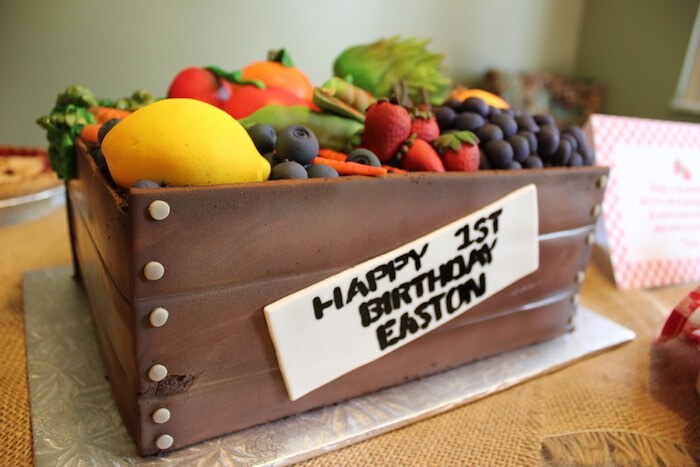 It was the perfect height for Easton too! 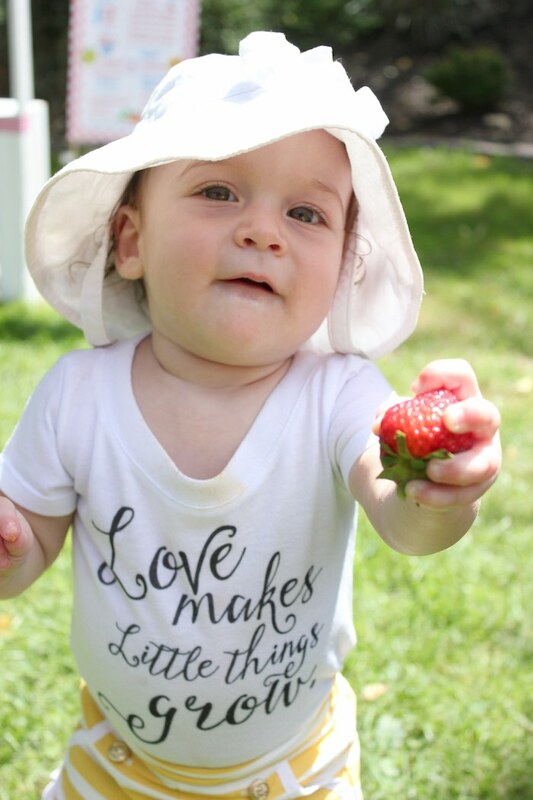 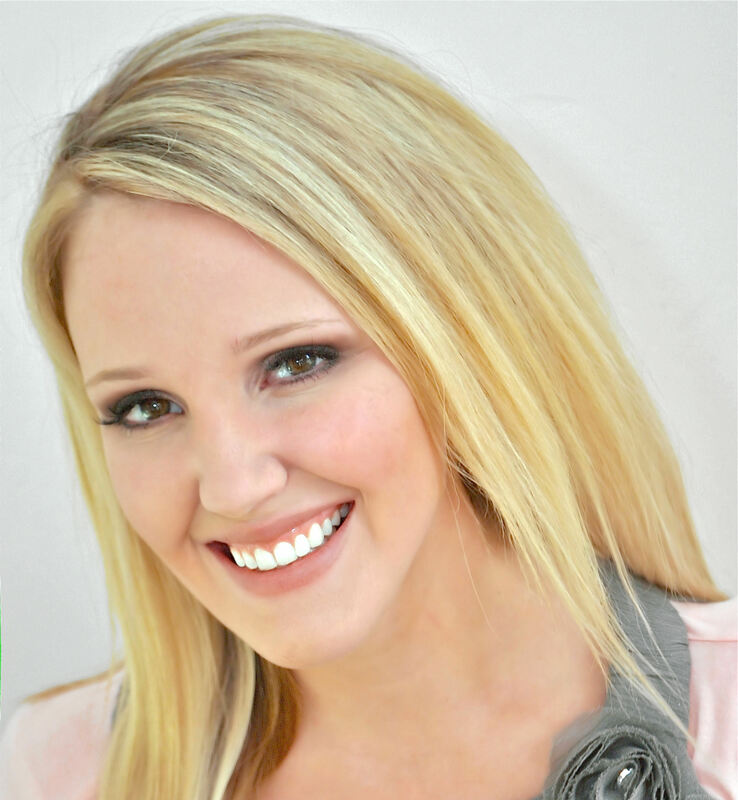 Bella Christie and Lil Zs Sweet Boutique in Pittsburgh, PA is absolutely AMAZING!! 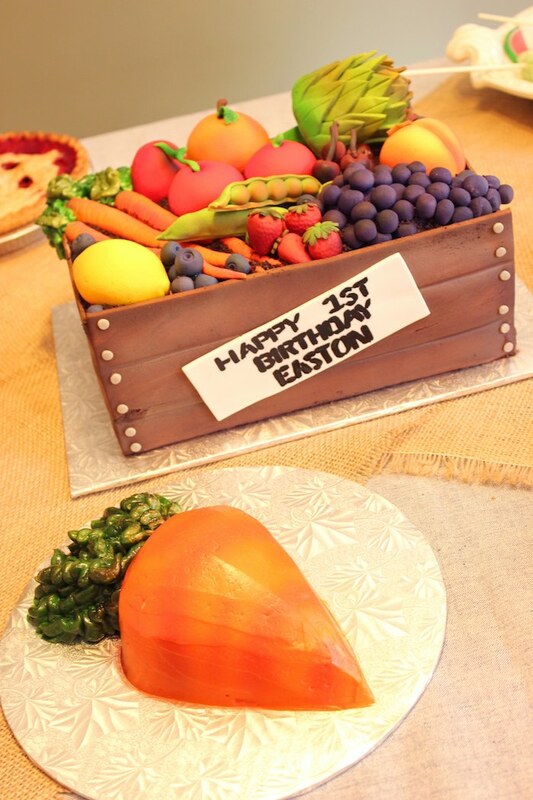 I still cannot get over this incredible apple crate cake they made! 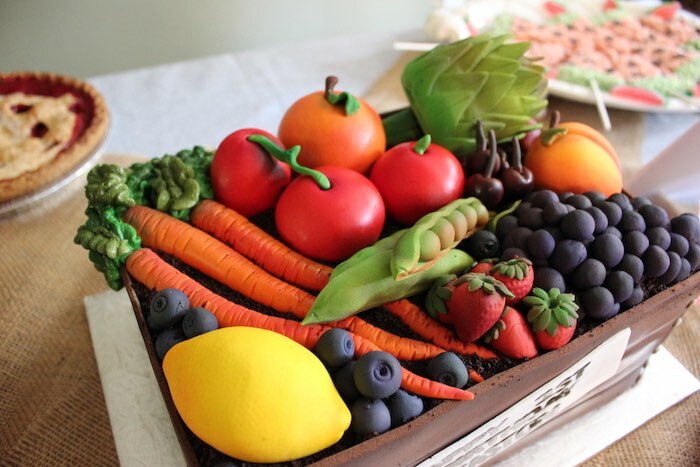 The details in the texture and colors of the fondant fruit and veggies was unlike anything Ive ever seen before. 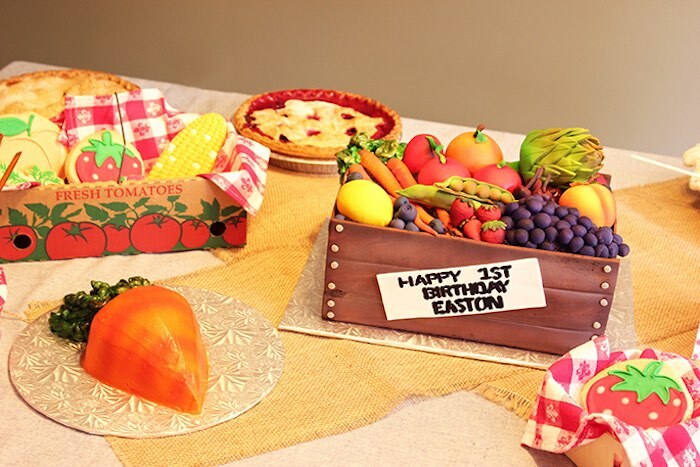 A few people at the party didnt even know it was a cake it was so realistic! 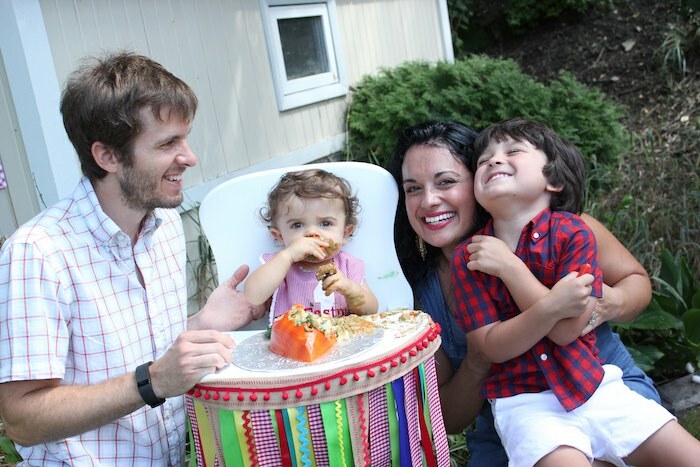 Also, Eastons little carrot smash cake was so perfect! 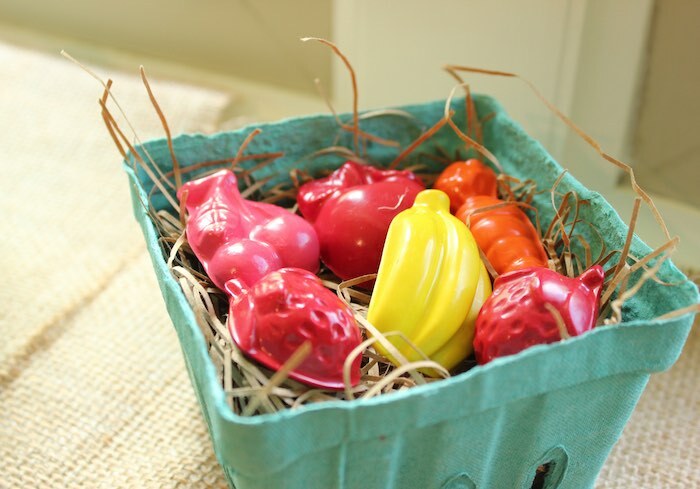 They also made adorable (and delicious!) 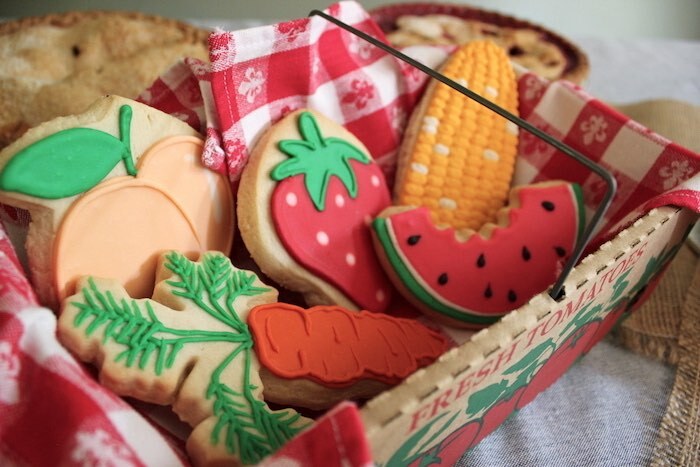 fruit and veggie cookies that matched the farmers market theme so well. 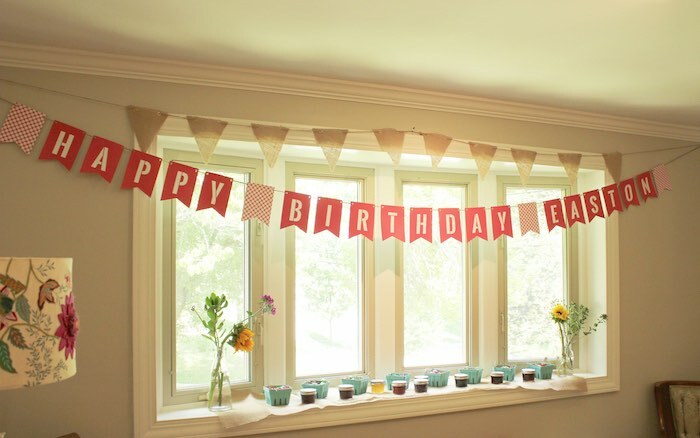 And make a wish for me! 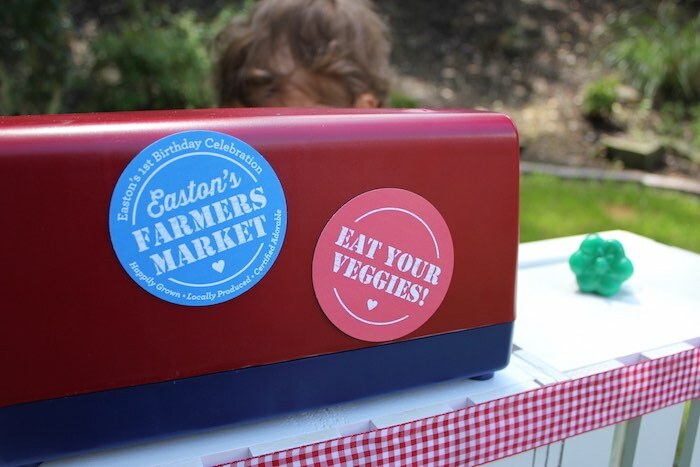 Since Easton was too young to blow out his own candle, we asked all of our guests to blow out a candle and make a wish for him as they enjoyed their cake! 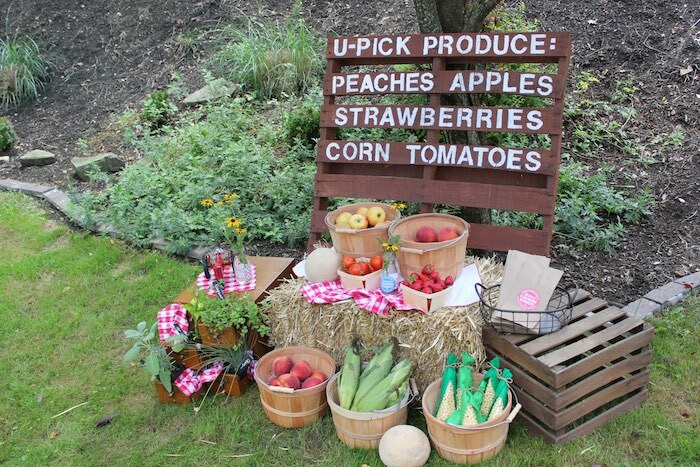 We made the U-PICK produce stand so all of the guests at the party could literally go shopping at the market! 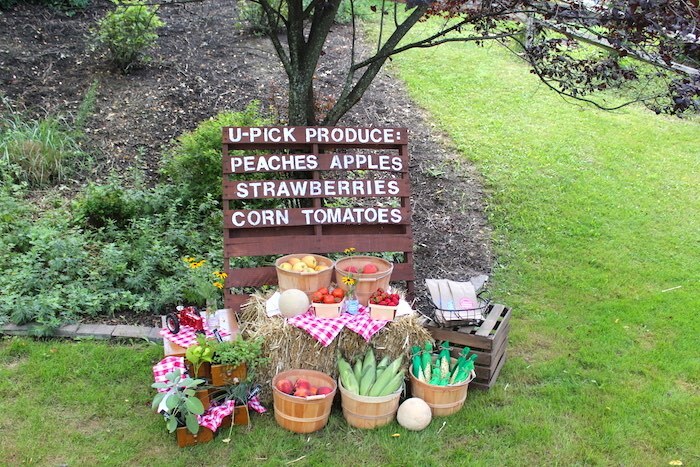 The produce stand was filled with fresh fruits and vegetables and even Kix corn for the little ones! 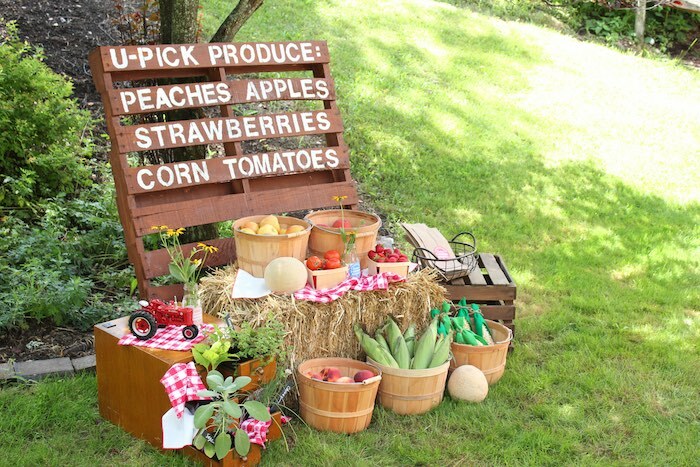 We made the U-PICK produce sign out of an old palette. 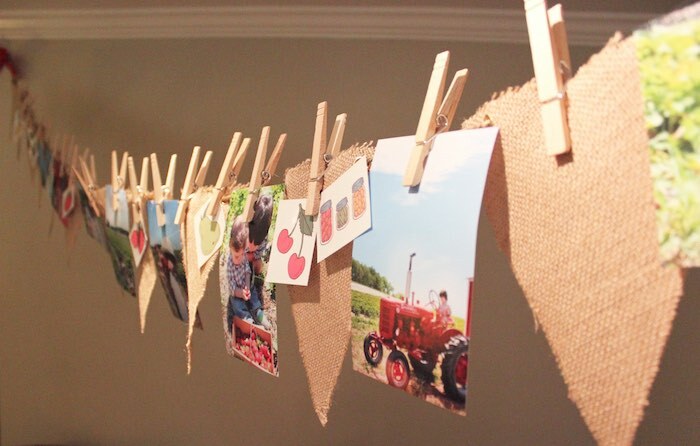 A little wood stain and stencils did the trick nicely! 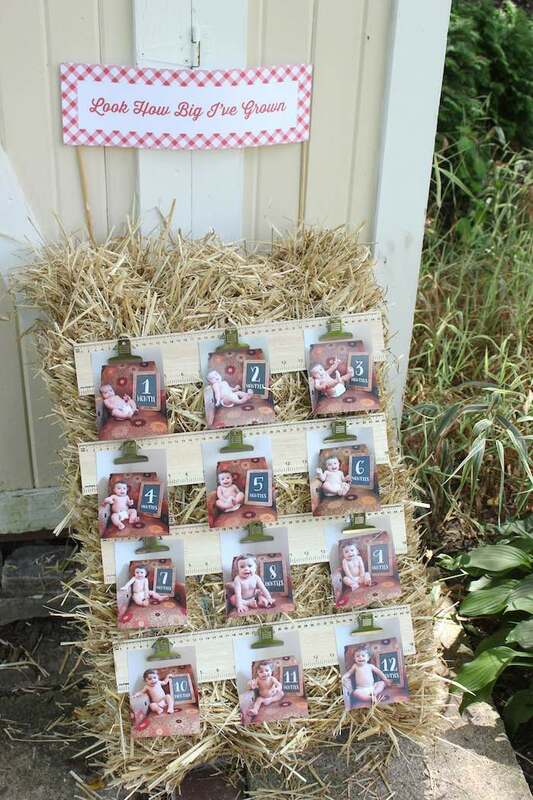 I loved incorporating a vintage library card catalog as a part of the stand too. 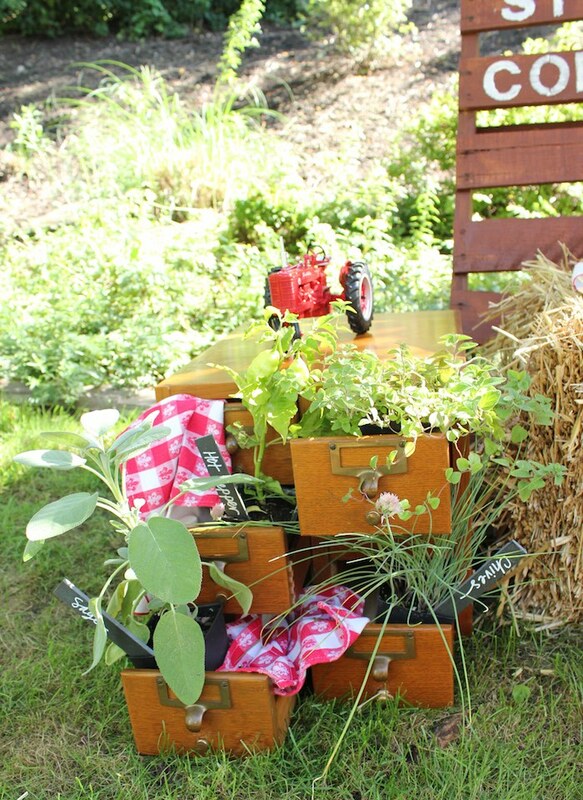 The different drawers held all of the fresh spices in a really unique way. 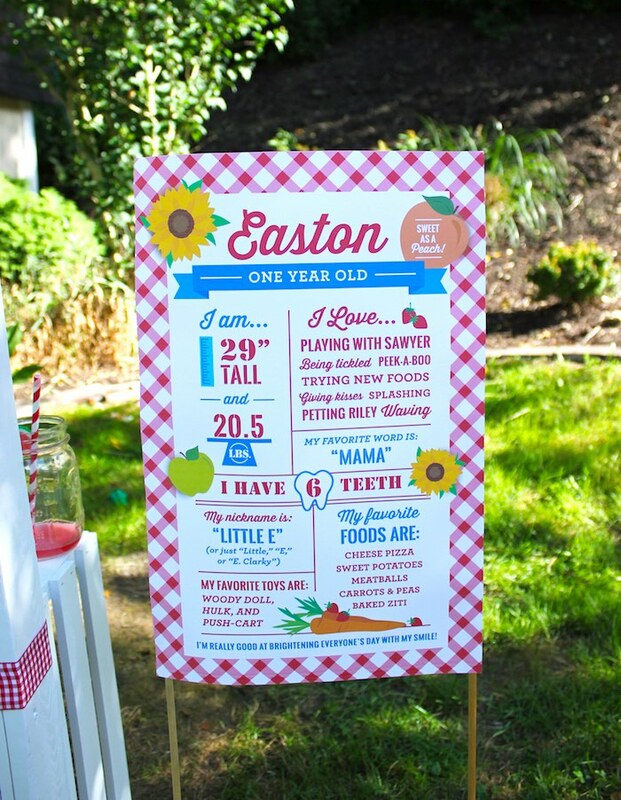 We showcased 12 photos of Easton on rulers attached to a bale of hay as a way to look back at the past 12 months as Easton has grown from a tiny bean sprout to the little pumpkin he is today! 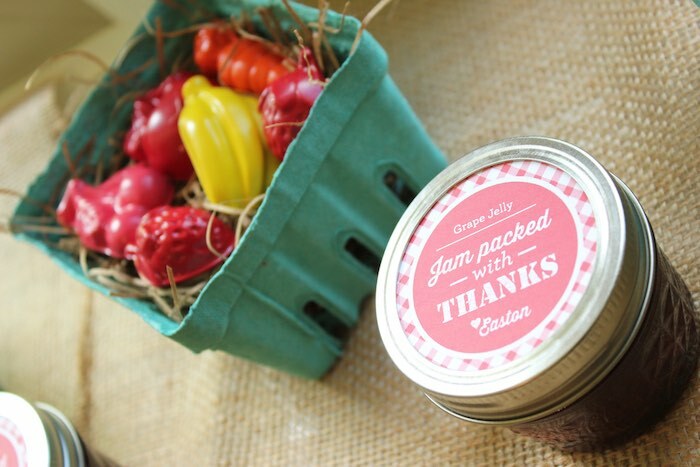 Along with their bag of produce from the U-PICK stand, all of our guests also took home fresh jam and cookies. 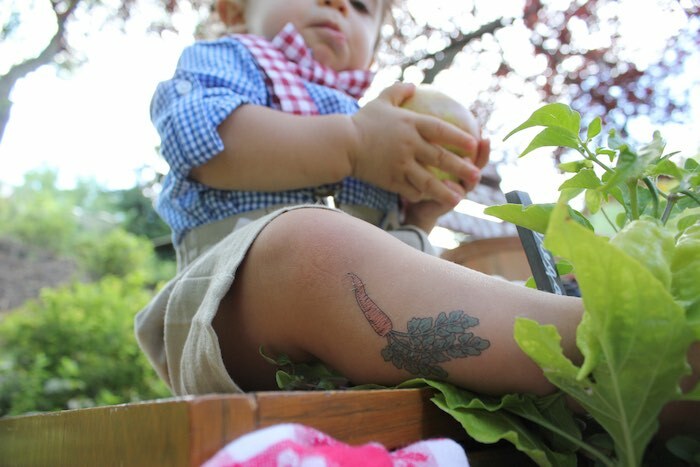 All of the kids were also given crayons in the shapes of fruits and vegetables. 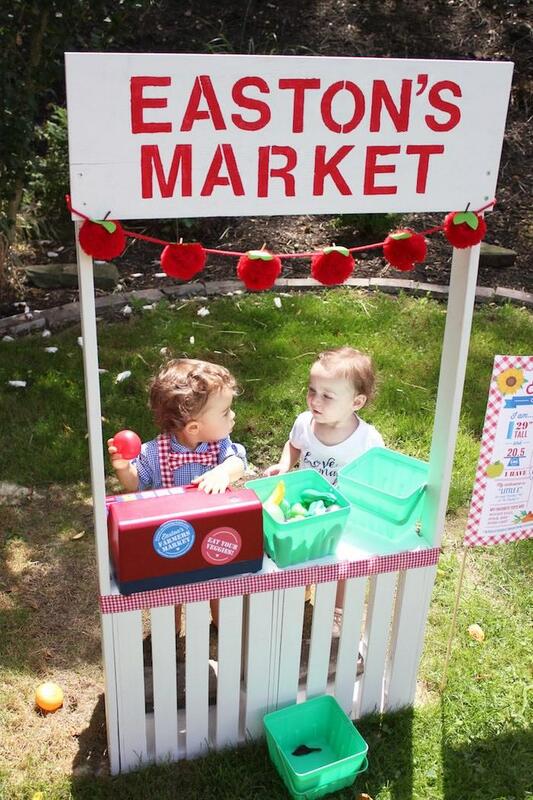 They were so cute!